Carolyne’s infectious enthusiasm and ability to make any student feel accomplished – regardless of their level of expertise or discipline – has made her a sought after teacher and trainer for over 20 years. Carolyne has always been passionate about dance, movement, fitness, and the integration of the mind, body, and spirit. She believes life is meant to be lived fully and that having fun while working out, dancing Nia, practicing Pilates and Gyrotonics is essential. 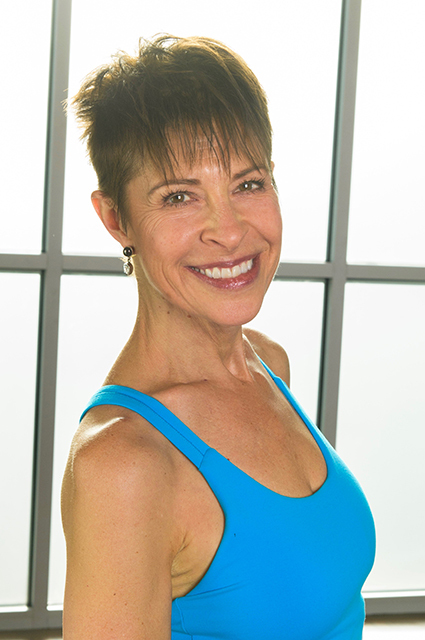 Carolyne’s background and instructor certifications include Nia Black Belt Instructor, former Nia Technique Teacher Trainer, Pilates, Gyrotonic, lyengar yoga, ballet dancer, and Life Coach. Carolyne pioneered Nia in Connecticut in 1990, and brought Nia to Colorado in 1992. Carolyne works with all fitness levels, from beginner to professional athlete. She has instructed and inspired clientele seeking optimum fitness in the U.S. and abroad, through classes, workshops and personal growth and fitness retreats. She believes a healthy lifestyle includes caring for the body, mind and spirit, and is passionate about helping people live the best life possible. In her free time she swims, nordic skies, loves shopping the farmers markets, movies and travel.